There’s a classic episode of “The Simpsons” in which NASA grows desperate for ratings as audiences become less and less interested in space launches. Of course, when you really think about it, few sights known to humankind are more majestic than a spacecraft blasting through Earth’s atmosphere. The notion that anyone could find space exploration boring is truly baffling, especially since most of us will never even get to sit inside a rocket. Ever since we put a man on the Moon, though, there’s been a real “been there, done that” mentality about space travel. Even the Apollo 13 mission generated little public interest until the astronauts involved ran into “a problem.” By today’s standards, going to the Moon may sound like a fairly doable task. People forgot, however, that leading up to 1969, the idea of man stepping onto the Moon’s surface was not only imposing, but seemingly impossible. Damien Chazelle’s “First Man” captures all of gravitas that made the Apollo 11’s mission nothing short of historic. 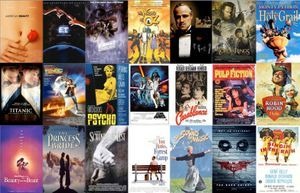 Outer space has been the setting of so many iconic movies. 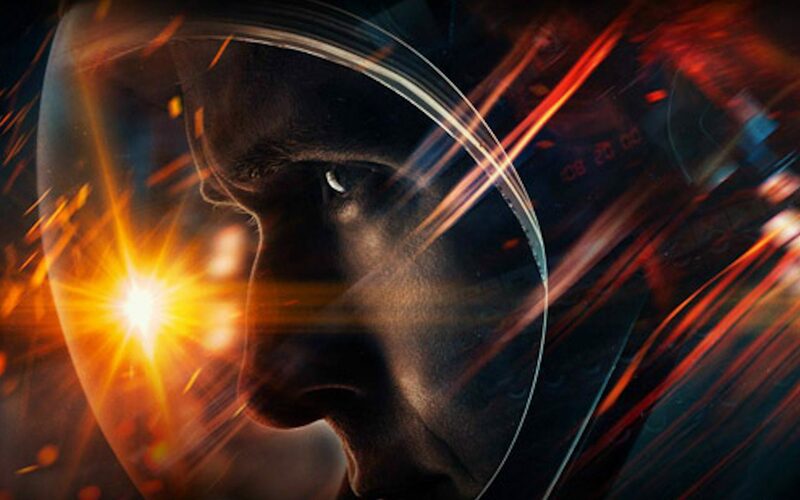 Some films even succeed in simulating the sensation of being in orbit, most notably Alfonso Cuarón’s “Gravity.” In a strange way, though,“First Man” takes us to uncharted territory, as if we’re seeing the vast recesses of space on the silver screen for the first time. What makes this especially interesting is that most of the film actually takes place on our planet, focusing on the sheer dread and uncertainty of venturing to another world. In a role that Gary Cooper likely would’ve played in another lifetime, Ryan Gosling stars as Neil Armstrong, who will naturally become the first man ever to walk on the Moon by the time the credits roll. Landing on the Moon is far from the most difficult thing Armstrong ever went through, however. In the film’s opening scenes, we see Armstrong and his wife Janet Shearon, wonderfully played by Claire Foy, cope with the fact that their daughter is dying. Science has come far enough to send a man into space, but it can’t save a two-year-old girl with a malignant tumor. Although Armstrong often appears composed, underneath he feels broken, withdrawn, and overwrought with grief. Whether Armstrong’s at a friend’s funeral or in a rocket cockpit, his daughter’s death follows him everywhere and it’ll take traveling over 200,000 miles away from Earth for him to let go. Armstrong was often described as a reluctant American hero and Gosling nails this to a T. It doesn’t require much more than a simple facial expression to know that the weight of the world is bearing down on his shoulders. He didn’t become an astronaut because of the fame or glory. Most of the time, he doesn’t even come off as very enthusiastic about his job. At the same time, he accepts this daring mission knowing full well that even a basic wiring problem aboard the spacecraft could result in immediate death. Armstrong doesn’t appear phased by the possibility of dying. What does scare him, however, is having to sit his two living children down and tell them that he may not come back alive. Chazelle previously made “La La Land,” my personal favorite movie of the past decade. His follow-up film is a complete detour from his other works, further exemplifying his incredible range as a director. Along with Gosling and Foy, Chazelle gets universally strong performances from Jason Clarke as Ed White, Corey Stoll as Buzz Aldrin, and Kyle Chandler as Deke Slayton. The combination of Linus Sandgren’s cinematography and Tom Cross’ editing creates a claustrophobic sensation that places us in Armstrong’s shoes at all times. Composer Justin Hurwitz goes from the City of Stars to literally touching the stars with a musical score that embodies the infinite wonder of space. What’s more, Chazelle and screenwriter Josh Singer deliver a deep character study that avoids obvious symbolism. Speaking of obvious symbolism, it’s worth mentioning that “First Man” has stirred up some drama due to a report that the filmmakers omitted the planting of the American flag. Those demanding a boycott of the movie are completely irrational, especially since the film DOES in fact show the American flag on the Moon in the final act. Anyone who skips the film over this quote unquote “controversy” will be missing out on one of the year’s most awe-inspired cinematic experiences. More importantly, the ending reminds us that the Moon landing wasn’t just a giant leap for Americans, but a giant leap for mankind.